Mallet, Allain Manesson. "Sources du Nil'" & " Empire des Abissins comme il est presentement". 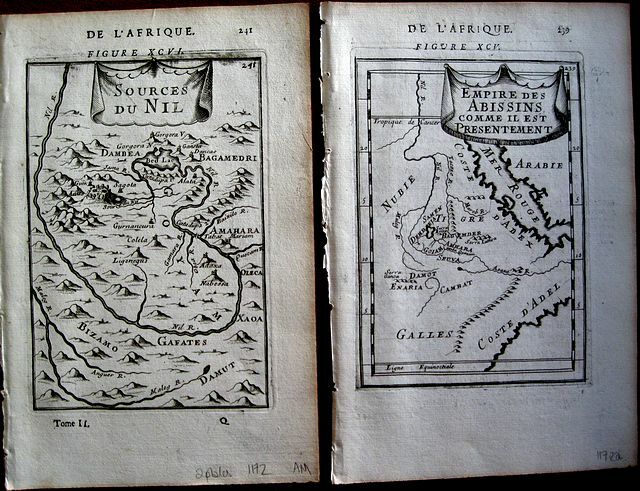 2 Copper engraved maps showing the source of the Nile, 1 detailed focusing on Dambea and the other more general. from Mallet's "Description de l'Univers" 1st edition. , 2 plates; text to versos. Dark impression.